I have an issue with my prints that I can't seem to get rid of. 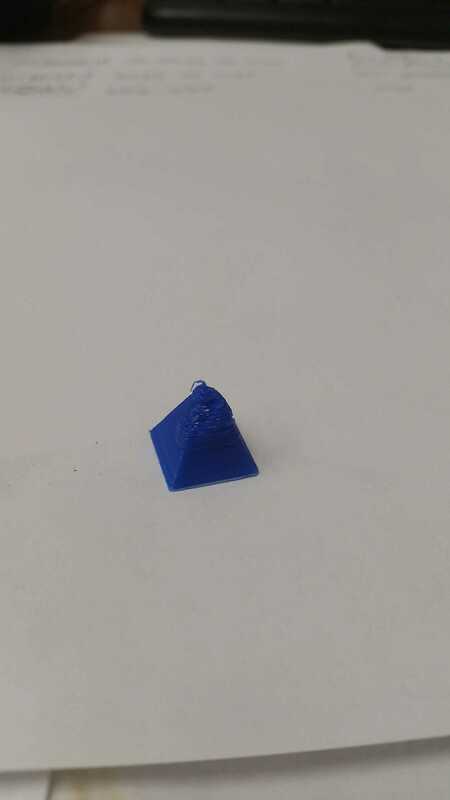 When I try to print something that is vertically thin, for example a pillar or the top of a pyramid, it looks blobby or melted. I have a Rostockmax V3.2. I'm using Slic3r as my slicing software. My current temperature for printing (after a lot of experimentation) is 210. 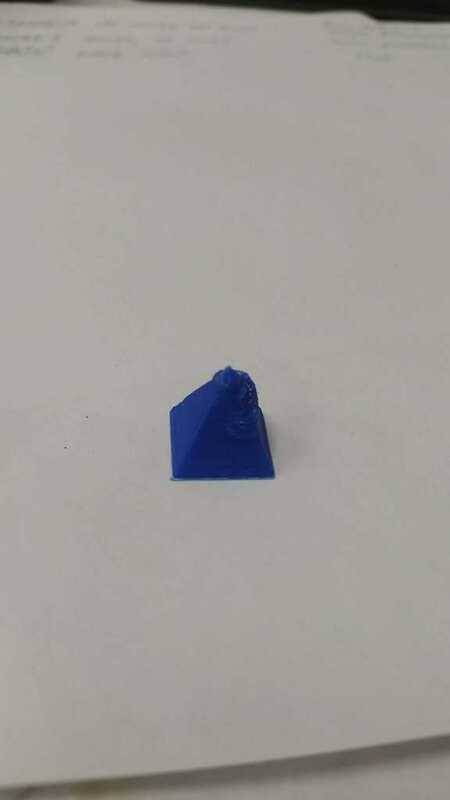 Should the print head be moving faster for small areas? Is there a good way to do that? Do I need more airflow? All suggestions welcome. It only takes 20 minutes to print the piece pictured, so I can try new things quite quickly. Try to print 4 or 6 in same time, or add a "minimum time by layer". The problem here look like the layers don't have time to cool down before your printer print the next layer. Printing multiple parts at the same time helps. I'll try adding a minimum layer time. Thanks!